Guenther Mechanical Service offers one source, doing everything it takes to keep every component in your heating, ventilating, and air conditioning system running reliably and efficiently with highly-skilled service technicians, at reasonable rates. Through greater system reliability, fewer repairs and longer equipment life, Guenther Mechanical Service delivers economy along with peace of mind. Please give us a call. We'll gladly meet with you to create a Guenther Mechanical Service program with your budget in mind. Unless properly maintained, heating, ventilation and air conditioning (HVAC) systems can add significant and unnecessary cost to your overhead. 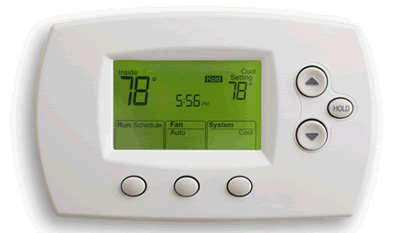 Begin with your thermostats: out of calibration by as little as three degrees, and your building could be using up to 30 percent more energy than needed. Soot buildup in your boiler, dirty coils in your cooling system or dirty filters in your air-handler can also add significantly to your energy bills. 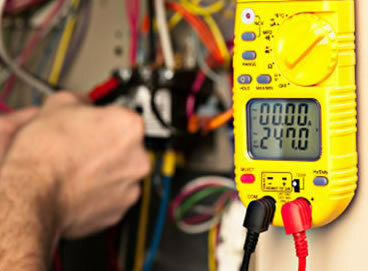 Heating and cooling systems require specialized skills to understand and maintain. If not properly maintained, systems designed for your comfort can become a continuous source of headaches. Experienced, well-trained Guenther Mechanical Service Technicians are ready and equipped to schedule and perform needed equipment maintenance year round. The right tools in the skillful hands of people who understand your needs, as well as your heating and cooling system; let our knowledge and skill bring you peace of mind. : : Contact us if you have a service request.